Welcome to Life-force Sanctuary! The place where we say ‘YES’ to the sensation of ‘Ahhhhhhh….’ in our bodies, minds, emotions and spirit! Every time you step into Life-force Sanctuary, I want you to inhale and exhale a long, deep breath as you sense that you have just entered a sanctuary, a place for You to to feel special and be reminded that you matter and deserve care. Life-force Sanctuary is a safe and sacred place to connect to yourself and others. We all want to be heard, belong, feel whole, understood and loved. We want to connect. Our busy lifestyles full of doing and achieving often lead us to feel overwhelmed, exhausted, anxious and depressed. Our bodies and lives feel fragmented and torn in different directions. We live in the past or the future and often miss the moment, the now. Reconnect to your body and you will heal, be whole, and feel healthy. My mission is to guide you in leading a body-centered life so that you heal, express and transform your body and life. I want to help you heal with the sensations of comfort, pleasure and joy. Pain does not have to be your path to healing and growing. Nia (neuromuscular integrative action) classes, meditation, breath work and mindfulness training will teach you to tap into sensation and become more aware and present. Sensing life will give you access to the inherent wisdom of your body and allow you to make choices by listening to your body. You will learn how to listen to yourself, develop insight and intuition. This process will help you gain confidence and trust in yourself and your decisions. We learn to heal, to balance, direct and optimize our energy! 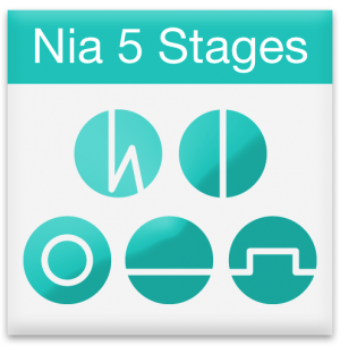 Nia 5 Stages with Debbie Rosas! Life-force is the energy that animates and moves us; it is the breath of life. Life-force is sensed and experienced in the body and lets us know we are alive. We often recognize life-force when we fall in love. We feel warmth and tingling when the person comes near or when we think of them. We might feel excited or anxious “butterflies” in our stomach or chest. Our breath quickens when we see them and when they hold us, our breath and body calm. We enjoy the sensations of falling in love. We also feel the sense of being alive while exercising. This is where we meet the sensations of flexibility, strength, stability, mobility and agility. All of our emotions are sensed as energy and can be tracked in the body. Fear is often sensed in the gut and cuts off or shortens our breath. The more we train ourselves to sense and pay attention to the movement of energy in our body, the more we become present and aware. This allows us to make choices to shape our energy, our sensations in ways that help us heal. The power of change resides in the body. Trained at Syracuse University’s College of Human Ecology in Couple and Family Therapy and Social Work, I consider your relationship to yourself, your family, society and culture. My Graduate Certificate in Women’s Studies guided me on the journey of balancing feminine and masculine ways of being and knowing. 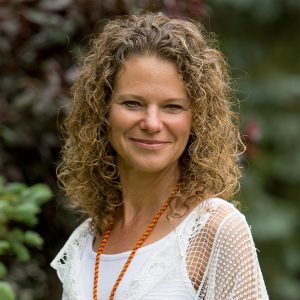 In accordance with my holistic outlook on health and meaning, I am also a certified Nia instructor at the black belt level, A Moving to Heal Nia Apprentice, a certified energy psychologist, a certified YogaFit Teacher and a workshop designer and facilitator. I believe deep, lasting change occurs as I guide people in the integration of body, mind, emotion, and spirit.